I was late in discovering how versatile and delicious spaghetti squash is, but I think I’ve made up for lost time. 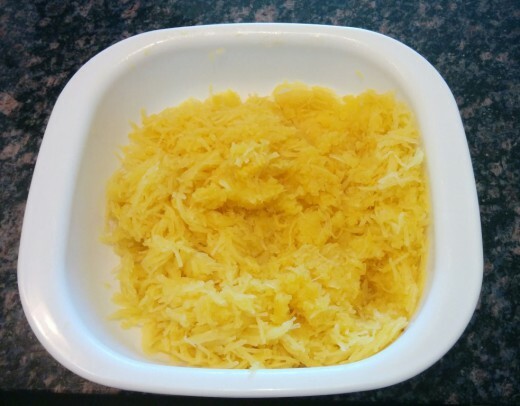 Spaghetti squash now makes a frequent appearance in my meals, typically in the form of a noodle replacement. I’ve swapped it out for pasta in shrimp scampi, carbonara and macaroni cheese, but it also serves as a great side dish. 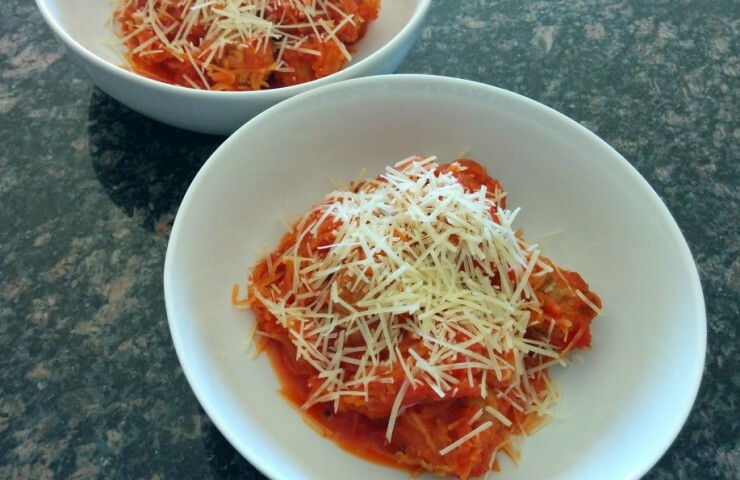 My go-to spaghetti squash meal is my take on “spaghetti” and meatballs. I love replacing the noodles with squash because it turns a normally heavy meal into a much lighter version, without sacrificing on flavor. 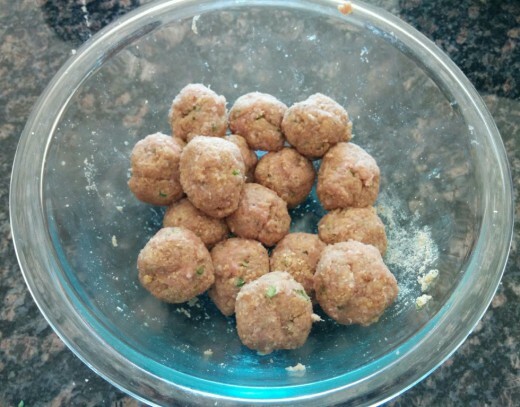 The ground turkey meatballs can definitely be made with ground beef, but I like using the lean, ground turkey. 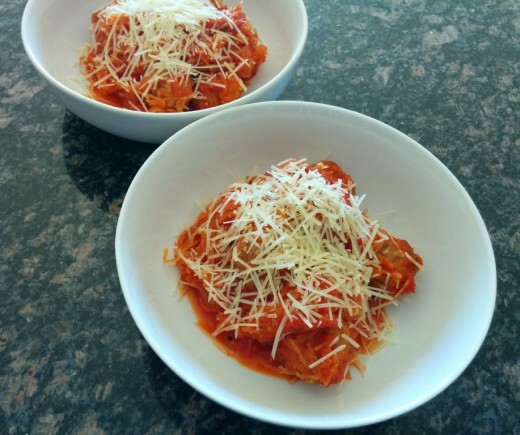 This meal can also be made in advance, which is great for meal planning and getting a weeknight meal on the table quickly. 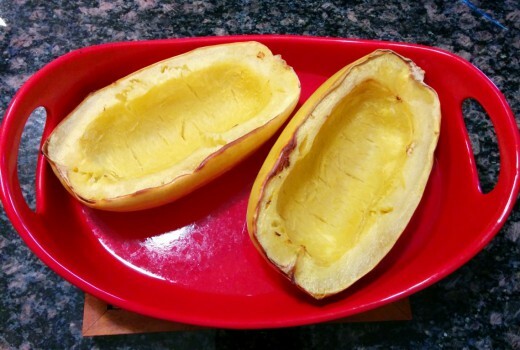 The first thing you want to do is cook the spaghetti squash. This takes about an hour, so I typically plan ahead and do this the night before. Preheat the oven to 400°F. 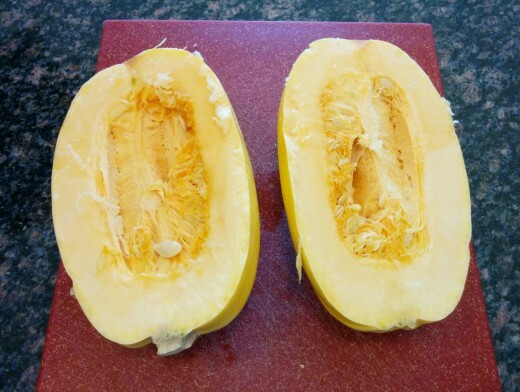 Slice the spaghetti squash in half along its length. 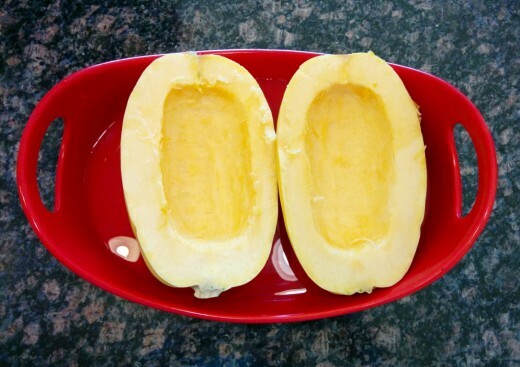 Place squash in a shallow dish cut side up and fill the bottom of the dish with 1 inch of water. Lightly drizzle olive oil on top of the cut squash. Bake for 50-60 minutes, until the squash is soft. Let the squash cool, then use a fork and scrape along the inside of the squash (I usually scrape along the length), to remove the noodle-like squash from the shell. The squash is now ready to be used in this recipe. If you cook it up the night before, store in an air-tight container in the fridge overnight. Now onto the meatballs. In a medium-sized bowl, mix 1/2 pound ground turkey with 1 egg, 1 minced garlic scape (or garlic clove) and salt and pepper. 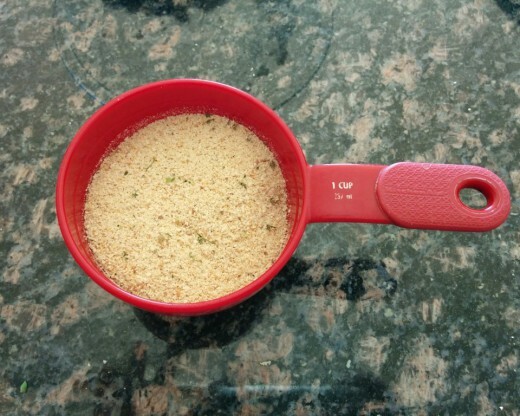 Mix in 3/4 cup bread crumbs and combine. Be careful not to over mix the meat. 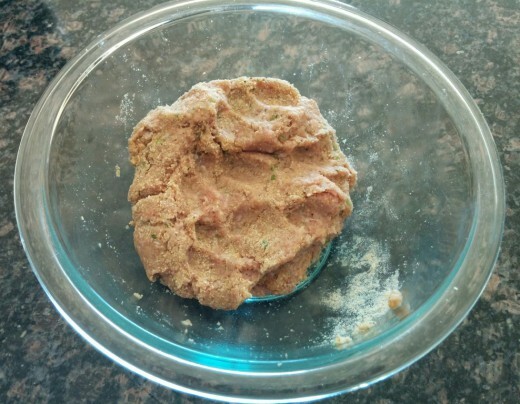 Once combined, use your hands to roll and shape the meat into about 1 inch diameter meatballs. Heat 1 tablespoon butter and 2 tablespoons olive oil in a large saucepan over medium heat. 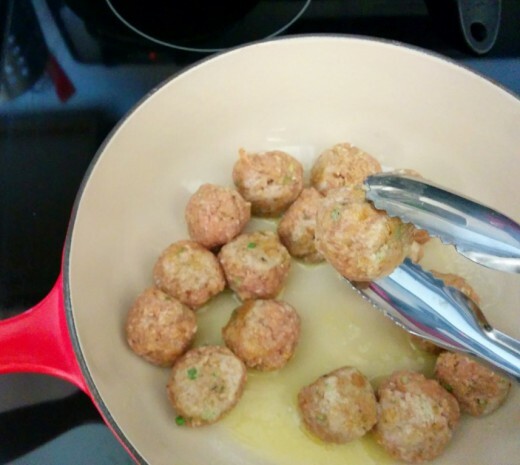 Use a pair of tongs to transfer the meatballs into the skillet. Let the meatballs cook for 2-3 minutes, or until browned. 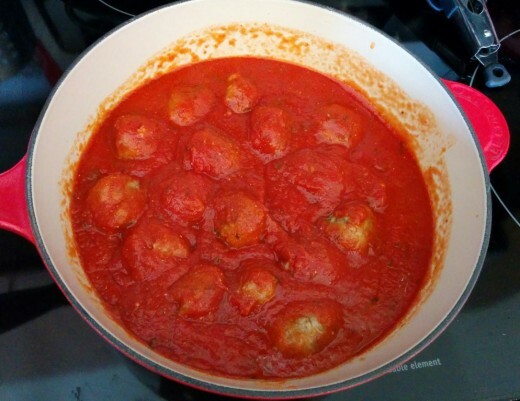 Rotate the meatballs and continue cooking until all sides of the meatballs are browned. 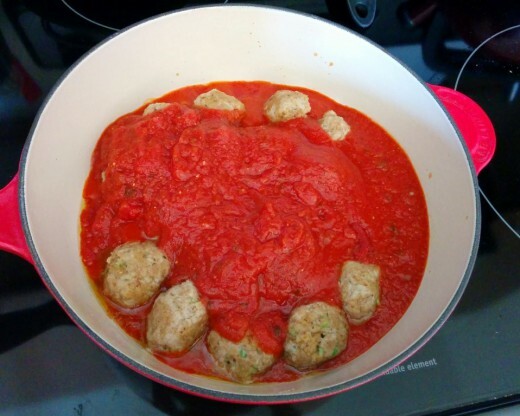 Cover the saucepan and cook about 5 minutes, until the sauce is heated and the meatballs are fully cooked. 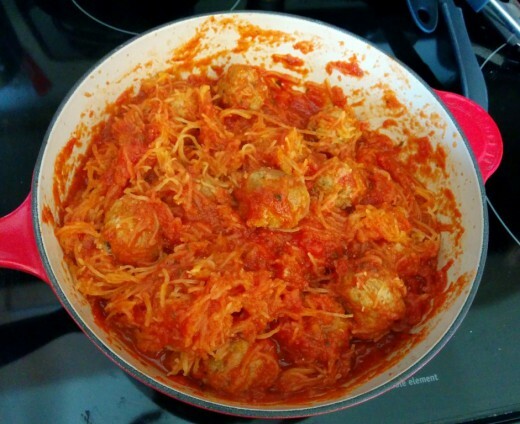 Add spaghetti squash to the saucepan and gently stir to combine with the sauce. Top each portion with Parmesan cheese before serving! 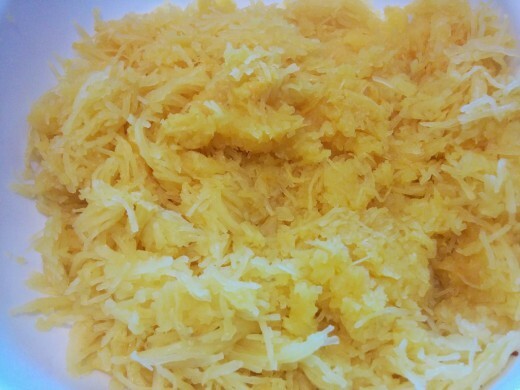 Have you cooked with spaghetti squash before? Share your favorite recipe in the comments below! Preheat the oven to 400°F. 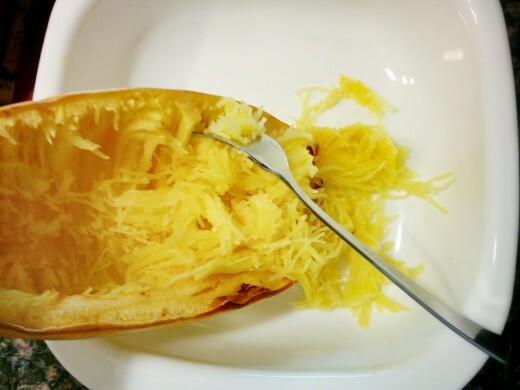 Slice the spaghetti squash in half along its length. Scoop out the seeds and place in shallow dish cut side up. Drizzle with olive oil. Add about 1 inch of water to the dish, then bake for 50-60 minutes, until soft. 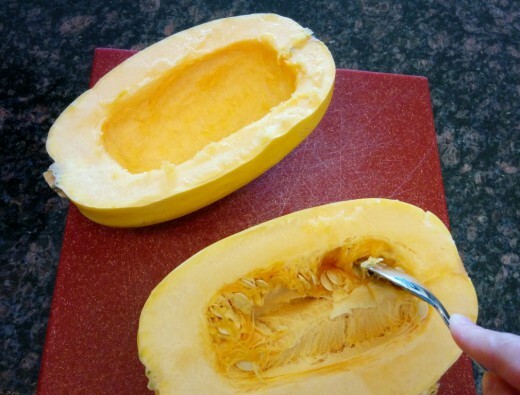 Use a fork to scrape along the inside of the squash to remove it from the skin. Set aside. 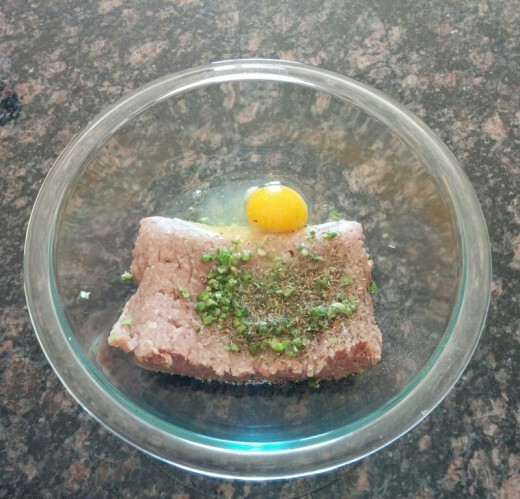 In a medium-sized bowl, mix ground turkey with egg, minced garlic scape and salt and pepper. Mix in bread crumbs and combine. 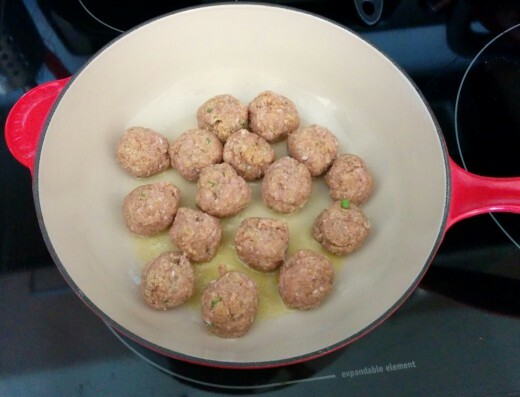 Shape the meat into about 1 inch diameter meatballs. 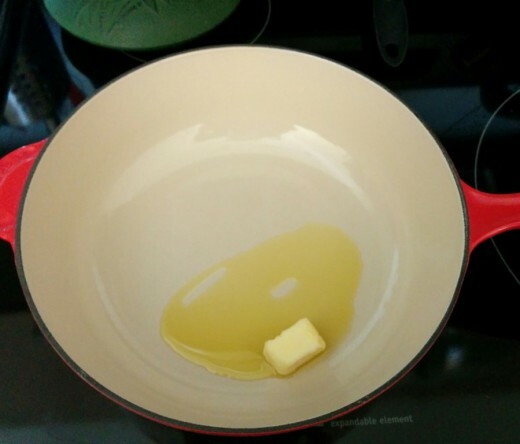 Heat butter and olive oil in a large saucepan over medium heat. 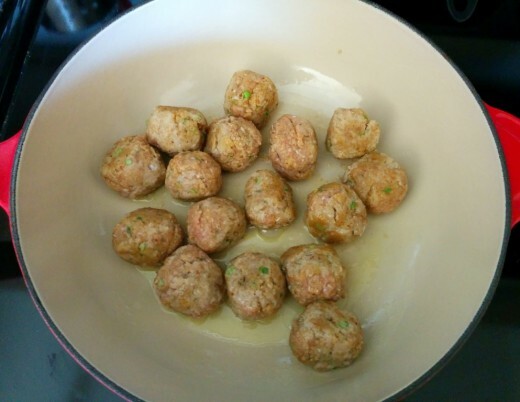 Transfer the meatballs into the skillet and cook for 2-3 minutes, or until browned. Slowly pour one jar of spaghetti sauce on top of the meatballs and gently mix to ensure sauce coats all of the meatballs.